Buy 1 for $18.46Buy 2 / Save $0.99!Buy 3 / Save $3.69! Although considered a noxious weed, dandelion is actually a member of the sunflower family. Its name is derived from the French "dents de lion", meaning "Teeth of the lion." Herbalists consider this plant one of the most nutrient-rich in the plant kingdom. The whole plant is edible - the flowers, the leaves and the roots. The bitter herb is a source of potassium, calcium, iron, manganese, magnesium, silicon, phosphorus and sodium. The leaves are a richer source of vitamin A than carrots and contain some vitamins B, C and D.
In Germany, Dandelion is frequently used to help support liver and gallbladder support and to help maintain biliary, digestive, and gastrointestinal health. The root contains sesquiterpene lactones beneficial to the digestion process and with a mild purgative or laxative effect. 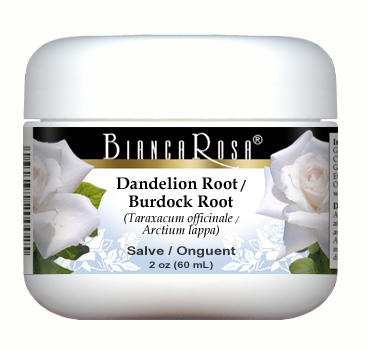 Burdock Root (Arctium lappa) is a biennial herb native to Europe and Asia. It is a popular herb in traditional traditional health, and is still consumed in Japan as a vegetable called "gobo". Burdock is listed in the German Commission E Monographs. German researchers have discovered fresh Burdock root contains polyacetylenes, a chemical that supports immunity and aids the body's natural defense system. Burdock is frequently combined with dandelion in herbal formulas to maintain healthy, normal liver, kidney, and gallbladder function. Burdock is rich in vitamins and minerals such as chromium, copper, iron, manganese, sulfur, biotin, zinc, iron, amino acids, mucilage, and vitamins B1, B6, B12, and E. Chromium is particularly effective in supporting the body's maintenance of blood glucose levels already in the normal range. Burdock is a nutrient-packed tonic that provides support for the circulatory and lymphatic systems, and assists the body in preserving rich, purified blood.